Cím: 7717 Kölked, 104/4. hrsz. The 3 rooms of the guesthose sleep 10. It has a special “community” space, the so-called Horseman’s Room which by combining past and present in its enterior has a special, pleasant atmosphere. 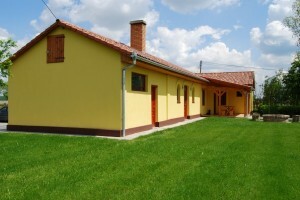 The guesthouse primarely serves the needs of families, small groups arriving to events.